The most expensive player in the world, Neymar recently headed for Paris in a move that shocked the football world. 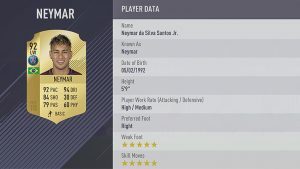 While still slightly below Messi and Ronaldo, Neymar is in the upper echelons of the talent-packed history of Brazilian football. 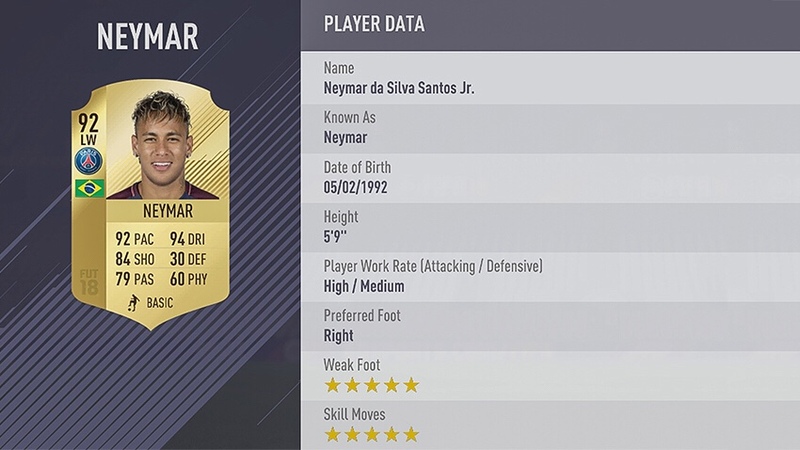 His 92 Pace makes him one of the fastest players out there, and his 94 Dribbling is reminiscent of Ronaldinho at his peak. In a constant battle for best in the world (and of all-time), it’s hard to say anything about Messi without stretching into hyperbole. His 95 Dribbling is the highest, and very few defenders are able to even come close to stopping him when he’s playing his best. 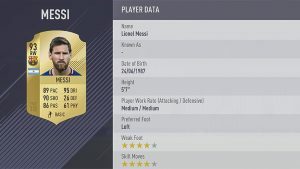 Combined with 89 Pace and 90 Shooting, Messi may usually start on the wing but he always finds a way to get in front of goal—where he rarely misses. There are few things that Ronaldo cannot do on a pitch, and few attacking positions in which he won’t excel. 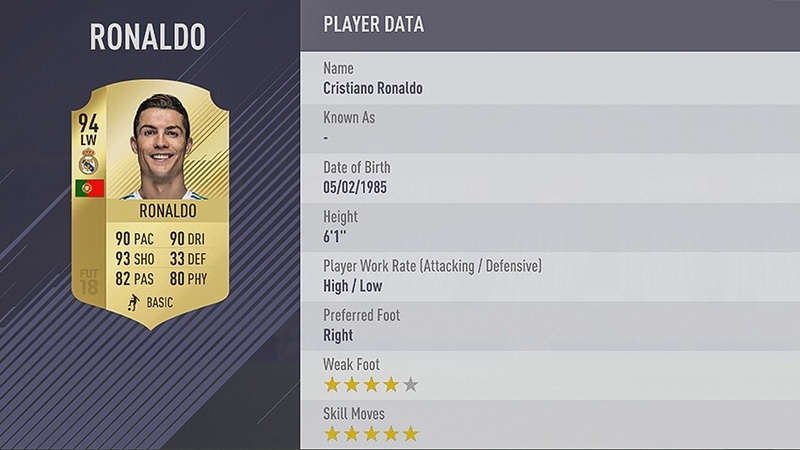 His 93 Shooting is evidenced by the unreal number of goals he’s scored in the past few seasons, and Ronaldo’s 90 Pace and 90 Dribbling make him virtually untouchable when in top form. Sometimes deployed as a forward, Ronaldo can dance into the box and dispatch the ball into the net without skipping a beat. He is probably at his best on the left wing, where he can create chances for teammates, or as he does more often, cut inside and lash the ball past a helpless goalkeeper.